On the evening of November 19th 2012, an empty auxiliary gym at Metea Valley High School slowly began to resemble what has come to be expected when a Special Olympics Basketball event is to take place. One by one the custodial staff neatly placed the padded folding chairs on either side of the score table. The home and visitor bleachers were rolled into place behind their respective benches and the familiar sound of the buzzer being tested rang out into the hallway. A large crowd was expected to turn out since the Student Government had planned a “fans in the stands” event. To add to that group, a decent sized faction of staff members that have been part of an ever growing Special Olympics fan club were determined to show up as well. Still the gym was quiet, if not for the faint echo of the buzzer still rebounding off the walls. It was getting closer and closer to warm-up time, where was everybody? It was almost as if everyone had simultaneously suffered a bout of amnesia and forgot to make an appearance. As I sat at the end of the bench preparing the score sheets, I heard an ominous rumbling in the hallways and it was coming my way. I thought, finally the student section has arrived. To my surprise, the District 200 basketball team walked through the double door entrance and they were “rolling deep.” I set aside my disappointment that these were not students donning the black and gold of Metea Valley and relished in the fact that a group this size had traveled to support their Special Olympics team. To the best of my knowledge, a majority of these students were a part of the ladies basketball team at Wheaton Warrenville South High School. Shortly thereafter, my athletes and their parents began to pop into the gym, uniforms on and ready to go. 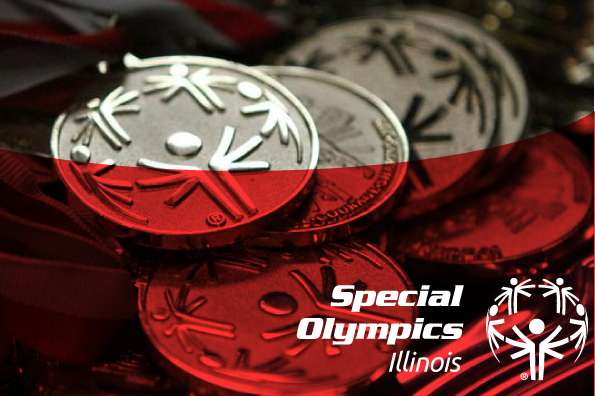 My attention had shifted from the turnout of the home crowd and I began approaching the athletes on both sides; many of whom I’ve forged relationships with through my time at Western DuPage Special Recreation Association. As we meandered through our warm-ups and exchanged pleasantries, I looked back to the bench and noticed that our home crowd had grown significantly. The crowd stands were now filled with our own students and my colleagues had begun to show up wearing their Metea Valley Special Olympics gear. Our troops had finally arrived! We were even lucky enough to have students from our Best Buddies program as well as the school newspaper in attendance. As the warm-ups were coming to a close, random students and athletes stood at our entrance looking in at the event that was about to take place. They had a stare that was a mix of fascination and uncertainty as many of them I’m sure had never attended or witnessed a Special Olympics event. As I walked to the end of the bench, a student called me over to ask questions about our game and what we were all about. It was a great opportunity to spread the message. Needless to say, the atmosphere of the game was fueled by the intense energy produced by the dense crowd surrounding the basketball court. The athletes were truly on a stage and they performed as such. District 200 proved too mighty for the Mustangs to defeat but they put up an effort worthy of no apologies. In the end, the spotlight was on the Special Olympics and all the athletes that repeat the oath. Quite simply, that’s all that mattered to anyone that night.